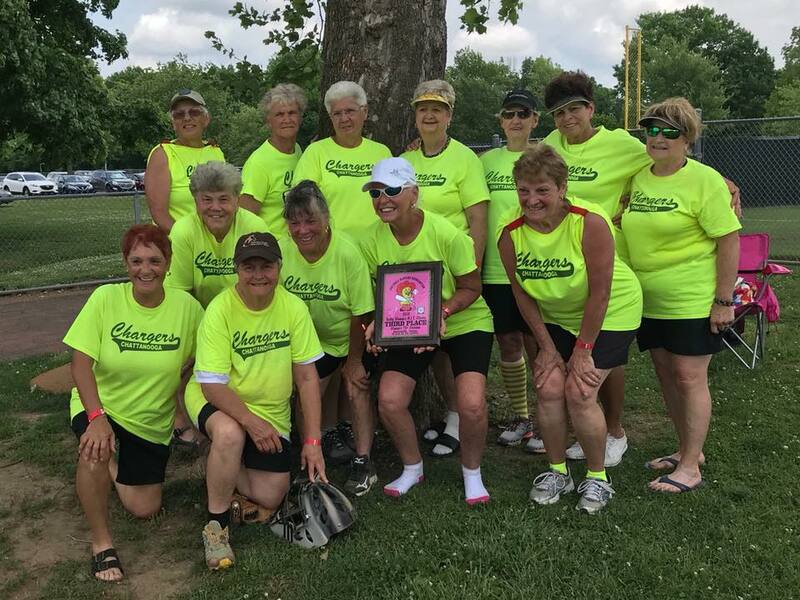 The COLUMBUS HEART OF OHIO enjoyed their new dates welcoming FORTY-SEVEN teams MAY 9-13 to the BERLINER COMPLEX. “We moved the tournament up from the end of June to the beginning of May and it worked well,” TOURNAMENT DIRECTOR LARRY MILLIRON said, "Based on the initial response this year for the new dates I expect the tournament to top fifty teams in 2019. Ten teams, also up from 2017, went home with division titles. The BAD BOYZ won a SPA DALTON TRIPLE CROWN bid winning the three-team 50 MAJOR championship. The BOYZ downed GEM CITY MERCHANTS 39-18 for the crown. AMERICAN METAL RECYCLING was third. Another TRIPLE CROWN QUALIFIER was the DAYTON LEGENDS by beating OHIO ELITE/CREATIVE STUCCO 33-22 in the championship game. The LEGENDS also beat the LOUISVILLE SLUGGERS twice as well as a second win over OHIO ELITE in their march through bracket play. OHIO ELITE was second followed by JJ FINANCIAL and LOUISVILLE SLUGGERS. BRICKYARD took the 50AAA six team group crown beating MJ LOWE PLUS 21-13 in the “IF” game. The champs lost 14-20 setting up the “IF” game. Earlier in bracket play in the BRICKYARD beat MJ LOWE 21-14 and the OHIO HITMEN 29-13. FREDERICK WINE AND DINE was third followed by OHIO HITMEN, DAYTON LEGENDS and CIRCLE CITY PLAYMAKERS. The ANTIQUE ROAD SHOW beat DETROIT CONNECTION twice 33-12 and 25-21 for the 55 AAA crown. 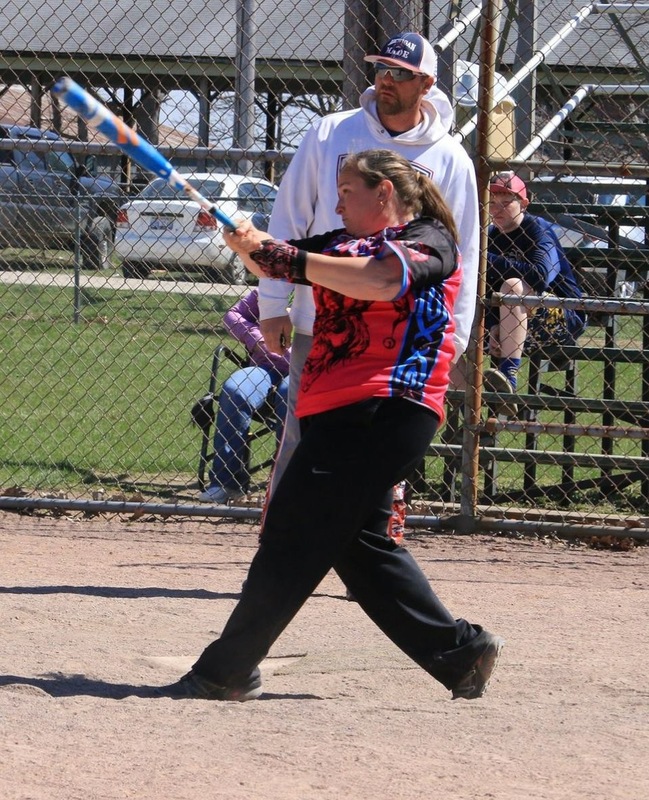 DAN CALMES BULL MOOSE, BUCKEYE CLASSICS and PITTSBURGH NORTH rounded out the five-team division. Hometown UNIVERSAL SOFTBALL 60’s outgunned three other teams for the 60 AAA title. On the way to the winner’s circle UNIVERSAL beat CINCINNATI 60’s (22-16), BRICKYARD CLASSICS (20-17) and MINUTEMEN/PEPCO 28-17. MCMAHON-COYNE-VITANTONIO-JUST ONE MORE won two titles. The one for the MOST WORDS IN THEIR TEAM NAME and also the 60 AA championship. The champs beat long-time 60 AA foe INDY FOG 17-10, 17-16 and DURHAM SILVER STICKS 24-17 in bracket play. DAYTON LEGENDS DIAMOND DAWGS was the fourth team in the group. SIDELINE BULL MOOSE OUTLASTED five others for the 65 AAA title. BULL MOOSE had to win an “IF” game 25-12 over STEEL DAWGS to do it. After beating DECLAIRE-LEMMACHIA-ORTHOPEDIC INSTITUTE 29-16 and STEEL DAWGS 14-11 earlier in bracket play, they lost 9-14 to the DAWGS forcing the “IF” game. Others in the group were DAYTON LEGENDS, DOC MARTENS/ROPE COURSE and UNIVERSAL SOFTBALL 65 TEAM. The DAYTON LEGENDS won the SEVEN-TEAM 70 AAA crown going 4-0 in bracket play. The LEGENDS opened their run beating INDY 70’s (22-4), LIFEGUARD/PEPCO (13-5) and STEEL CITY (15-6) before beating the STEEL CITY 17-14 in the title game. Others in the bracket were CHICAGO STRIKERS, INDY 70’S, LIFEGUARD PEPCO, RUSH TRUCKING, MICHIGAN LAKERS and FRICKERS SPORTS BAR. Five teams battled for the 70AA championship with CHICAGO HITMEN winning the bacon. THE HITMEN downed DAYTON LEGENDS FARM TEAM 24-16, ROCHESTER CLASSICS 17-5 and LEGENDS OF DAYTON 20-18 in the title game. CENTRAL OHIO COSSA was the fifth team in the bracket. COSSA 75’S beat FRICKERS twice 15-9 and 13-9 to claim the 75 championship in a best two-out-of-three contest. Next up in the SPA OHIO CIRCUIT is THEE BUCKEYE CLASSIC followed by FIRST FLIGHT OF OHIO and the GREAT LAKES SPA NIT. Even the famous MLB double play trio of the 2010 CHICAGO CUBS’ TINKER-TO-EVERS-TO-CHANCE couldn’t hold a candle to the DP combination of the EAST COAST GEMS. The Ladies turned not one, not two, not three but six double plays in one game in winning the 55 Division of the PENSACOLA 2018 WOMEN’S SPRING NATIONALS. It just wasn’t two or three ladies participating in the accomplishment, eight of the GEMS contributed in the record setting show. Leading the gold glove defense for the GEMS was SHERRI CLARK (3B). The All-Tournament infielder figured in three of the DP’s with three assists and three putouts. CYNTHIA SMITH (SS), DIXIE DALTON (2B), ANITA KIMERY (2B) and, JEANETTE BAILEY-BROWN (1B) each handled three chances. DEB FRANKLIN (2B) and LCF JOANN JONES had an assist and putout while pitcher BRENDA JONES added an assist. All-in-all, the group contributed 12 putouts (11 assists) in a 21-put out game. Although not a DP. right fielder JODY TRIMMER made an ESPN highlight film catch saving three runs in the championship game against the PLAYERS with the GEMS holding a 6-2 lead. “The girls really made VIV proud today,” LEDFORD said. VIV was VIVIAN JONES who along with team manager TERRI HOUPOS founded the team. Defense wasn’t the only highlight in the GEMS tournament win. All-Tournament LOUISE O’DONNELL led the offense with a .813 average as the GEMS outscored their opponents 82-40 in the four games. The team took no prisoners in their run through the tournament beating SHO-ME 19-0 , SUNNY BEACHES 21-16, THE PLAYERS 20-10, SERIOUS FUN 12-11 and THE PLAYERS 10-3. Also receiving All-Tournament honors were MVP FRANKLIN, DALTON and TRIMMER. Other members of the EAST COAST GEMS 55’S are: MONA ONYEMELUKWE, CYNTHIA NELSON, BECKY ATKINS, TERRY JERMAN, and DONNA FOLEY, CO-SPONSOR is VALLEY CREEK HUNTING SUPPLY.